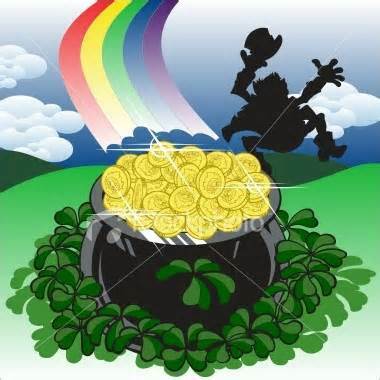 As St. Patrick’s Day approached, I began pondering the concept of treasure. That, and the question: How in the world do tiny people called leprechauns fit into the picture of a holiday proclaimed as a result of Christianity being brought to Ireland by a Roman Catholic former slave? So I started digging. 4) the Cauldron of Dagda, which left none unsatisfied. Fast forward to the 5th century AD. A teenager named Maewyn Succat was taken from his home in England to become a slave tending sheep in Ireland. After six years he escapes and, through a series of misadventures, finds himself learning about monasticism in France. He feels convicted that he must return to his previous captors in Ireland and share the good news of Jesus Christ with them. The Roman Catholic Church warned him against serving there, as previous missions were unsuccessful and the Irish were thought to be unreachable, savage, and violent. Maewyn Succat is determined, and upon becoming a priest, adopts the name Patrick (Patricus), which means “father-figure.” He already knows the language and customs of the Irish people, and their traditional worship of nature and spirits. 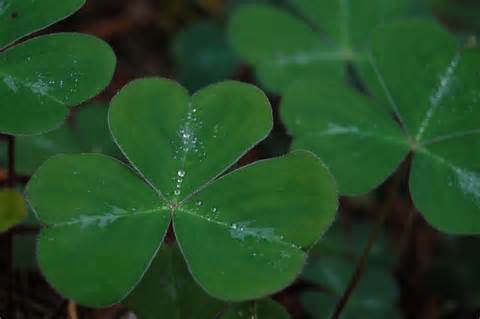 He employs these ideas that they already understand, such as with placing a high value on the shamrock, to communicate the more complicated Christian concept of the Trinity or triune, but singular God (three heart-shaped leaves, but one flower with one stem). Patrick met them where they were, loved them regardless of his own negative past personal experiences during slavery, and is reputed to have performed signs and wonders so that the Tuatha De Danann, the Picts, the Gaels, and the Celts might come to know that the Lord God is sovereign and good. Patrick died on March 17, 432 AD leaving over 300 churches and more than 100,000 followers of Jesus on the Emerald Isle. Like the early Irish, we are still in need of guidance and direction in order to understand what treasure really is and where it can be found. Our treasure is not in pots of gold at the end of some rainbow. It is not found in earthly utensils of war. Our Stone of Fal is the Solid Rock that we stand on, the only stable foundation that is a relationship with the One true God. Our Sword that none can escape is the Truth that Jesus is the way to abundant spiritual life, and that no one can come to the Father except through Jesus (John 14:6). Our Spear of Lug, our victory in battle is knowing that Jesus has already won! He made the ultimate sacrifice for us so that sin would not eternally keep us separated from our Creator! Jesus said, “Everyone who drinks some of this water will be thirsty again. But whoever drinks some of the water that I will give him will never be thirsty again, but the water that I give him will become in him a fountain of water springing up to eternal life” (John 4:13-14). This is our true Cauldron of Dagda that leaves none unsatisfied. He is what nourishes us and will never leave us wanting! He is our treasure! Colossians 2:3 refers to the hidden treasures of wisdom and knowledge. Matthew 25 explains that the way we treat others is a reflection of the love relationship that we have with God, that will naturally overflow into serving and helping others, “For I was hungry and you gave me food, I was thirsty and you gave me something to drink, I was a stranger and you invited me in, I was naked and you gave me clothing, I was sick and you took care of me, I was in prison and you visited me…I tell you the truth, just as you did it for one of the least of these brothers or sisters of mine, you did it for me” (Matthew 25:35-40, New English Translation). What do you value? Who do you value? 1) Light blue was worn on armbands and collars by members of the Irish Citizen Army in honor of St. Patrick until the Irish Rebellion of 1798, when green became more common. This was the same group which prompted the 1916 Easter Uprising against British rule. 2) The 1st St. Patrick’s Day Parade was held in the United States (1792 in New York City). By 1848, nearly 3 million people would line the streets to watch 150,000 participants march in the 5-hour procession. 3) Ireland has only been officially celebrating St. Patrick’s Day beginning in 1903 when the Irish politician, James O’Mara introduced a bill at Westminster to formalize it as a holiday. 4) Being a heavily Catholic country, Ireland’s bars and pubs were legally closed on St. Patrick’s Day, and no alcohol was to be sold or consumed (as the holiday always falls during Lent) until the law was repealed in 1961. 5) Dublin’s first celebration was not until 1931, and Belfast would not celebrate the Irish festival until 1998 because of Protestant hostility toward Irish symbols (seeing them as associated with Catholicism or British rule, depending on who you ask). The present-day ceremonies are championed by the only flag that all parties can agree on and are proud to wave: The flag of the Shamrock.